A glimpse of the Mystical Warrior. 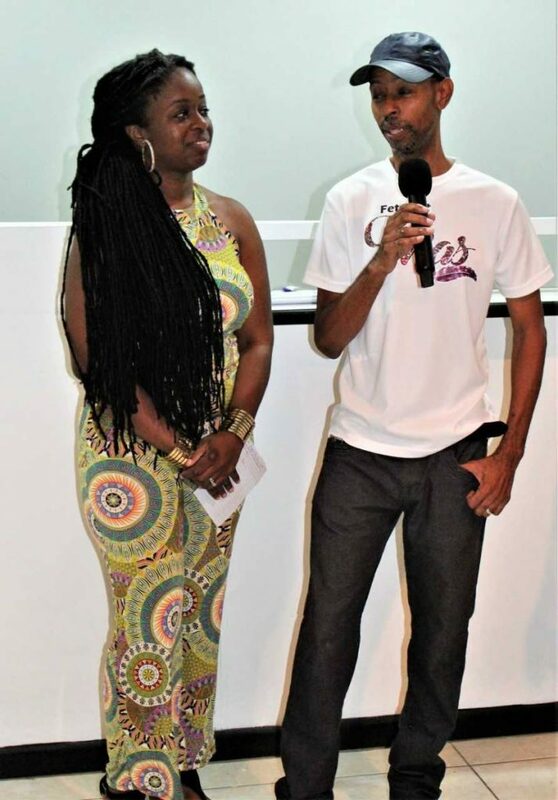 AFTER eight years, the Fete Rat brand has blossomed from the annual Point Fortin Borough Day J’Ouvert celebrations into Carnival 2019. The band is promising the same creative energy used to conceptualise its costumes will go to ensuring a sophisticated and unique look with its 2019 presentation Rebel Empire. Fete Rat Mas has emerged out of the shadows of its J’Ouvert band like no other and has transition into Port of Spain mas. The band is also promising the same quality of costumes for its loyal masqueraders along with a dynamic road experience. Designer Milano with the male and female costume of Rebel Angel. Interestingly, the main players represent the four cardinal points of Trinidad. Coreen Huggins-Lett is from San Fernando (south) while her husband Junior Andrew-Lett is from Diego Martin (west). Together they have found a young designer in Kriston Milano from Sangre Grande (east) and they will all play mas in Port of Spain (north). Fete Rat Mas was launched to the media last Friday at its mas camp at 6 Picton Street, Newtown, Port of Spain, and although there was a time delay for the start, attendees got a glimpse of one of the costumes titled Rebel Angel (male and female). Rebel Empire consists of five sections with four having male costumes, there are also frontline and backline sections. These are titled Queen of Bacchanal, Bellum Immortal, Mystical Warrior, Kundan Rebel and Rebel Angel. Designer Milano said this is the second time he was trying his hands at designing having done so for D Crew before. He confirmed he was also a part of the Tribe Challenge. Masqueraders with Fete Rat Mas will be have a chance to be get “ready-for-the-road Hyundai phones” through Facey telecom. They are offering four different mobile phones with different plans –and these are not disposable phones. Fete Rat Mas is opened for registration at the camp from 12 pm-8 pm from Monday to Saturday. Reply to "Fete Rat mas comes to town"